Blackjack is a beloved table game that has won the hearts of many the world over. Not only does it have very simple rules to follow, but players can also incorporate strategy to help swing the odds of winning in their favor too. If you’d like to learn how to play Blackjack, our guide delves into all the rules that pertain to the classic game. Read up on them, then head to one of the online casinos below to play for real money. The game of Blackjack is played using a deck of 52 cards. During the game, the dealer gives out two cards from the deck to each player as well as himself. Throughout the game, each card is assigned with a point value. The cards that are marked 2 through 10 are worth their respective numerical value. The face cards (Kings, Queens and Jacks) are worth 10 points. Aces can either be used as 1 or 10. In the game, each player will need to choose with a move to win the prize. The main objective when playing any Blackjack game is to come up with the strongest hand possible to beat the dealer at his own game. The best hand you can possibly acquire is a natural blackjack. The next best hand is one which consists of more than 2 cards and adds up to 21 points. And the third best hand you can have is one which totals closest to 21 and is higher in value than the dealer’s hand. 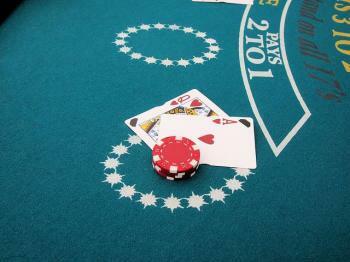 As a table game, Blackjack is profoundly favored by players of all kinds. And perhaps it’s due to the fact that it’s one of the only casino games which is possible to beat using strategy. But before you learn all about the strategy you should employ when playing the game, it’s much wiser to learn all about how to play Blackjack in the first place. Below we’ve outlined the main rules for Blackjack, feel free to take a look. These Blackjack rules apply in the majority of games but bear in mind that rules vary depending on the casino and the particular table. 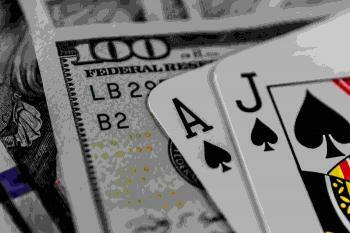 Bets will need to be returned to the player provided that both the player as well as the dealer have the same hand. This results in a Push. Payouts for a winning had are typically 1:1. A winning Blackjack payout, on the other hand, is 3:2. Provided that the dealer receives an Ace, King, Queen, Jack, 10, he will immediately check his Hole card for a Blackjack. A natural Blackjack always trumps the rest of the hands in the game. Cards marked 2 to 9 must be counted according to pip value and aces must be counted as 1 to 11 points. Hit - Hit is the term that’s used when you’d like to the dealer to give you another card. Stand – Stand is the move you need to use to make the round to stop. Double Down – Doubling down refers to when a bet is doubled after which only one card is received. Insurance – Insurance is the side bet that you can use in Blackjack. These types of side bets are not always allowed at all Blackjack tables. There are several variations of Blackjack games that are available to play online as well as at land-based casinos too. However, you’ll definitely find more variants of the game online. A few common ones that are typically hosted at casinos include Blackjack Switch, Blackjack Surrender and Atlantic City Blackjack. Find out all you need to know about the rules of Blackjack by going through our guide. Now that you’re really familiar with the game’s rules for players, it’s also profoundly important for you to understand how the dealer must play the game according to casino rules. Below we give you an overview of Blackjack dealer rules that the dealer needs to abide by in order to play online and at brick-and-mortar casinos. Below we outline the basic rules that a dealer must follow in a game of classic Blackjack. It’s important to note that the rules for the dealer can sometimes be different according to the particular variant you’re playing. Hit on a hand of 17 or lower. In order to be able to play Blackjack well, it’s crucial for you to learn the terms that are associated to the game well. The main terms you’ll need to know are listed below. However, there are a few more terms worth knowing that are listed in our Blackjack terms page too should you wish to learn more in-depth information. Hit - Hitting in Blackjack will result in you receiving another card in the hopes of getting a closer score to 21. In most Blackjack games, you’ll be able to receive 3 more cards. Stand - Standing will enable you to stop receiving cards. Double Down - The double down option is used when opting to double your initial bet. Split - In Blackjack, the term ‘split’ refers to when players split a hand into two. Push - A push occurs when a player and a dealer end up with hands which hold the same value of points. In this case, your original stake will be returned to you. Natural - A natural blackjack is made up of a 10 card and a face card. Insurance - This move refers to when a side bet is taken out on a bet which has an ace face up card. It’s basically a second bet in which the player bets on whether the dealer has a natural Blackjack or not. Hard Hand - A hard hand is a Blackjack hand that is composed of an Ace that’s valued as a 1 and another card. Soft Hand - A soft hand is a Blackjack hand that is composed of an Ace that’s valued at 11 and another card. Surrender - A surrender occurs when you half your bet by folding your hand. The availability of this option varies from one Blackjack game to another. Now that you’ve read up on all the different rules pertaining to the game, the next step is to learn all about the Blackjack strategy involved. You can learn all about it by going through our detailed explanation of the strategy you should use while playing the game as well as by checking our very own Blackjack Strategy chart too. Other than the basic strategy, you can also opt to learn more advanced strategy and Blackjack card counting too which is way simpler than it looks. How do you play Blackjack card game? A typical game of Blackjack involves placing an ante bet, deciding on which move to make once the cards are given out by the dealer to give you the best possible chance of winning the game and finally waiting for the outcome to determine whether or not you’ve won the game. Can you play Blackjack with 2 players? Yes, it’s entirely possible to play Blackjack with two players. In fact, in online Blackjack, the game is played with one player against a dealer in most variations of the game. How can I find out my hand’s total value? You’ll be able to determine your score by counting the total of the cards in your hands. The cards 2-10 are worth their numerical value. Jacks, Queens and Kings are worth 10 points and Aces are worth either 1 point or 11 points depending on the other card you’ve managed to acquire. Do suits matter in Blackjack? No, in Blackjack suits don’t matter at all. All that matters in Blackjack is the value of your hand in terms of points. What happens if a player exceeds a total score of ‘21’? Exceeding a score of 21 will result in you going bust. Going bust means that you will lose the game as a result against the dealer. How do you beat the dealer in Blackjack? You’ll be able to beat the dealer provided that you manage to beat the total value of his cards and you don’t bust in the process. How do you lose to the dealer in Blackjack? If you bust, you’ll lose to the dealer. Busting occurs when your hand exceeds a total of 21. You’ll also lose if the dealer manages to acquire more points with his hand than you at the end of the round. Is it possible to tie in with the dealer? Yes, it is. This is known as a push. In this case, a push will enable you to take your bet back and the dealer will also take his bet back too. A large part of why many gamblers play Blackjack is that its rules are extremely easy to learn. Once you learn how to play Blackjack by reading through our guide, you should feel fully confident to head to an online gambling site to start betting for real money. If you’ve got no idea which one to sign up at, we highly recommend having a look at our Best Online Blackjack Casinos list on the page above.